Why do landscapers oppose the government's Cynodon dactylon plan? The South African Landscapers' Institute (SALI) issued a strong condemnation regarding the government's proposal to list Cynodon dactylon as a Category 2 invasive species today. Is critical to South Africa's biodiversity. Two indigenous frogs are currently on the South African National List of Invasive Species. The government's intention to add a third indigenous species to the National Invasive Species List is unworkable. "I am not sure that it is practical to declare Cynodon dactylon a category 2 invasive species", says Dr Sue Milton-Dean, a top grassland academic, grass seed expert and restoration landscaper. "We have endured 2 years of the most crippling drought in the Western Cape", say Richard Morris of Starke Ayres, Cape Town. "This has rendered traditional coastal Buffalo grass (Strenotaphrum secundatum) and Kikuyu grass (Pennisetum clandestinum) non-existent in most domestic residences, drought ravaged public open spaces, public gardens and parks. Buffalo and kikuyu have has also disappeared from road verges, commercial landscapes, school sport fields and important environmental areas where they not irrigated as neither are drought-tolerant", he adds. "Yet with a little grey water irrigation on indigenous Cynodon dactylon we are able to control dust, erosion, many coastal and hydrophobic sands by supply water saving options to school sports grounds in drought ravaged areas dry areas with and without poor infrastructure. We use Cynodon dactylon as an alternative grass sold and planted as roll on lawn or sold as runners or plugged rooted cuttings or seed", says Morris. "A more in-depth regional study of Cynodon dactylon in the Western Cape must be done before this species needs to be listed in this region. In my opinion, the advantages far out way its consideration for listing as Invasive", says Morris. "Cynodon dactylon comprises numerous strains or ecotypes some of which are fertile and produce viable seed and other varieties which although they may produce inflorescences, the seed is sterile or of low viability", says Mike Kruger of Top Crop Nursery (incorporating Superlawn), Pietermaritzburg. "Cynodon dactylon has prevented massive areas from being eroded", says Kruger. "It holds what soil is left and begins the process of rebuilding it. Almost every lawn in South Africa will have some or more of the species. As a lawn it has many uses, it is drought tolerant and needs less irrigation than other lawn species". 'In drier areas it maintains itself as long as it is reduced by traffic, grazing or mowing. Proof of this is that it occurs on every road and highway across the country especially where the road verge is being maintained. Both species have for many years been popular lawn grasses in urban areas and as a result now cover many hundreds of hectares", says Kruger. "In other situations, where rehabilitation specialists have been concerned with avoiding genetic contamination of locally‐occurring Cynodon spp., sterile varieties of C. dactylon have been planted as plugs or runners, and sometimes even as turves. Turves, in particular, have proven to be very effective in reducing soil erosion, on steeply‐sloping terrain in areas prone to high rainfall which occurs as high‐intensity events", says Kruger. Every road cutting that has been 'hydroseeded' since its introduction in the early seventies has used Bermuda grass seed (Cynodon dactylon) in its mix. All 'Water-Wise' landscaping installations are completed with Cynodon spp. Previous case studies (eg watercress) in the horticultural industry have shown that it is almost impossible to trade in Category 2 invasive species. All seed of Category 2 species have been withdrawn from the retail trade as it almost impossible for retail customers to be able to obtain a permit before buying packet seed in store. 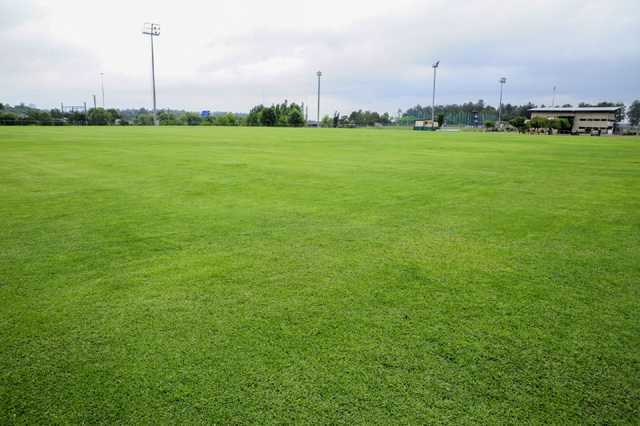 Against this background, SALI oppose all measures by the government to impose a Category 2 status – on a much loved, indigenous, water wise turf species – as unworkable, unrealistic and not in the country's interest.